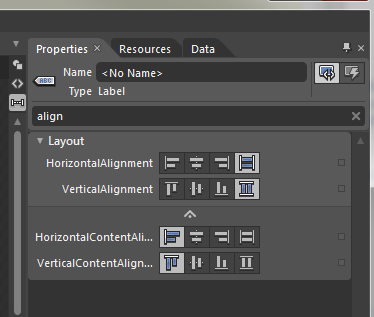 Blend makes all properties of a user interface element available for editing via the Properties panel. The properties panel is laid out in a way that makes finding a particular property fairly easy. But if you’re having trouble finding a property and you know a portion of the property’s name, you can use the search box to search for the property. 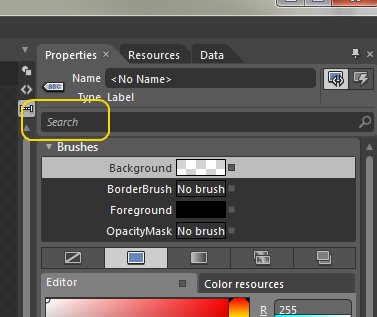 In the example below, we select a Label control and then enter “align” into the search box. We then see all of the properties that apply to a Label and have “align” as part of the property’s name.